Get Away From it all, Be at One in the Mall | Come on in! Get Away From it all, Be at One in the Mall – Come on in! Introverts need sacred places of solitude to ponder and decompress. Nowhere will you find a more peaceful environment for your contemplation-palooza than a desolate shopping mall. Let your mind wander while strolling down long corridors past the remaining stores. Gaze at colorful “For Rent” signs and feel your blood pressure drop. Observe the remaining kiosk while avoiding eye contact with its intrepid owner. 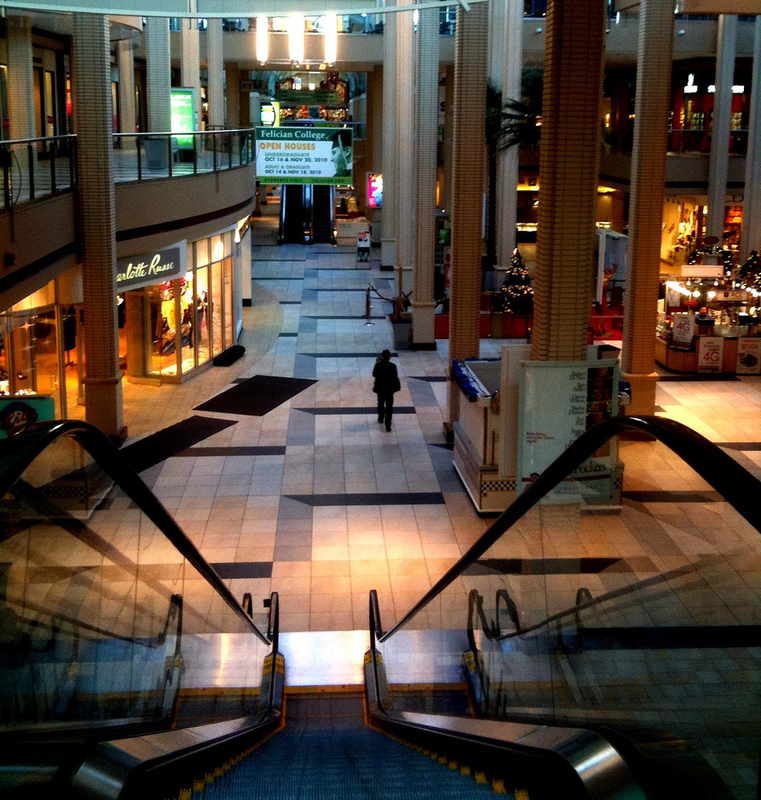 Malls are today’s retail dinosaurs. Hordes of shoppers pushing shoulder-to-shoulder, fighting for the last Bed Bath & Beyond Beckett Duvet Cover have been replaced by an occasional security cop, armed with a lethal jackknife and a good book to read. If you really need some serious alone time, head over to Sears. Asking for directions to the hardware department is an almost near-death experience. For the more spiritually inclined, there’s no better place to meditate than at Cinnabon. Have the pick of every seat. No extra charge for the sugar rush.